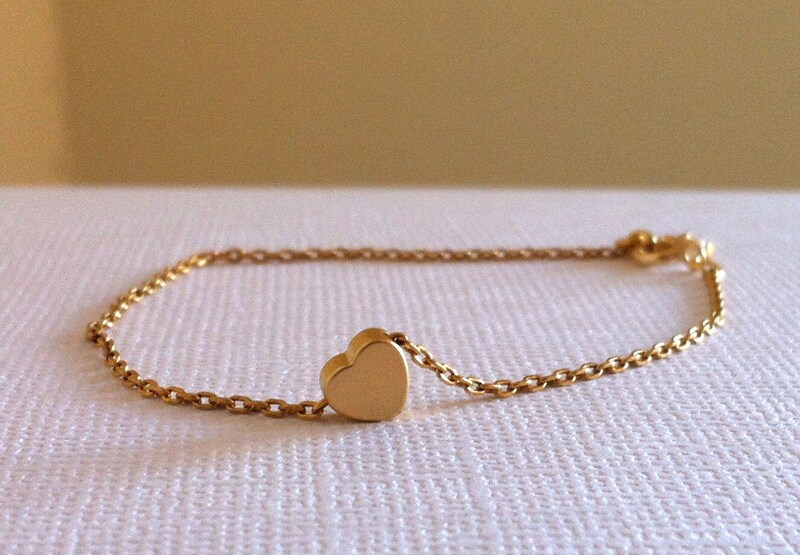 Tiny and delicate little 14KT matt gold plated Heartl on a gold plated chain. Freshwater pearl little pendant bead at the end. 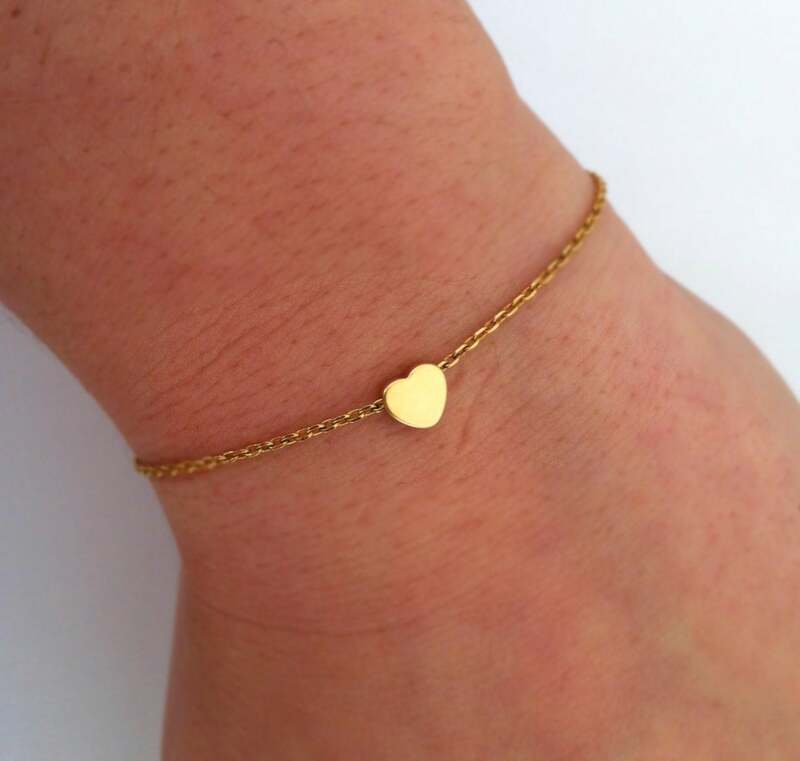 ✪ Tiny 14karat matt gold plated 6mm heart. 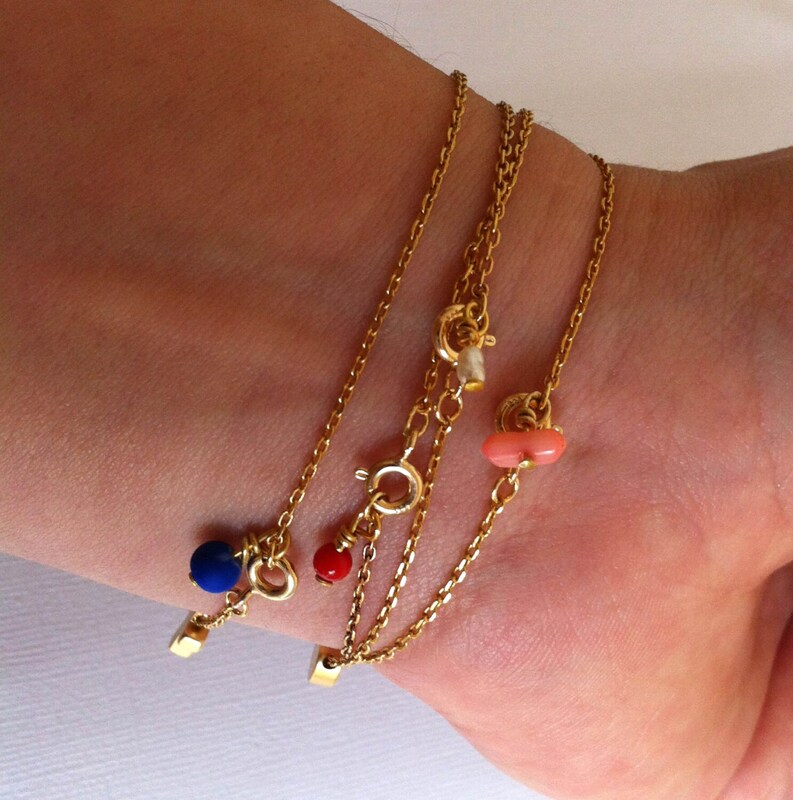 You can also see my other charm bracelets! Absolutely beautiful. 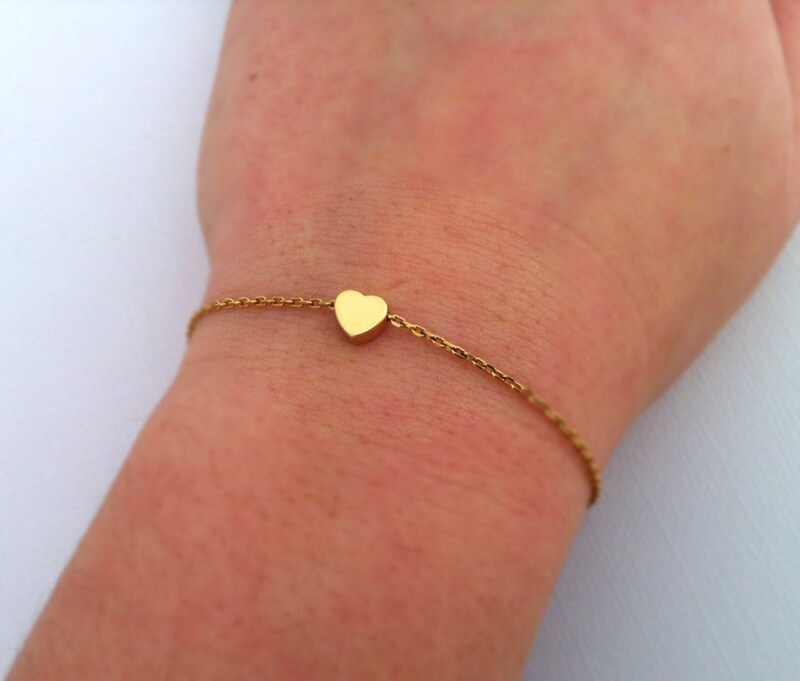 Very dainty, very feminine. Fast shipping, and the shop owner goes above and beyond to make customers happy. I will be ordering from this shop again. 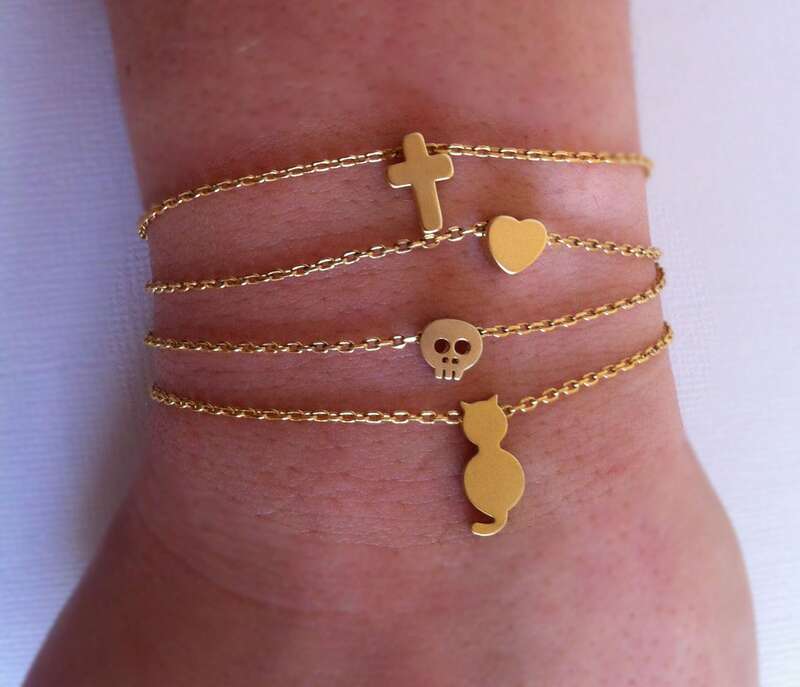 Precious bracelet! I love it. I wear it everyday! Very fast shipping! Very cute! Thanks!